I mentioned in a previous post about how I sometimes need to work with binary strings in SQL Server using T-SQL. The literal values are hexadecimal strings. T-SQL doesn't have a simple function to just convert one of these character-pair strings to an integer. 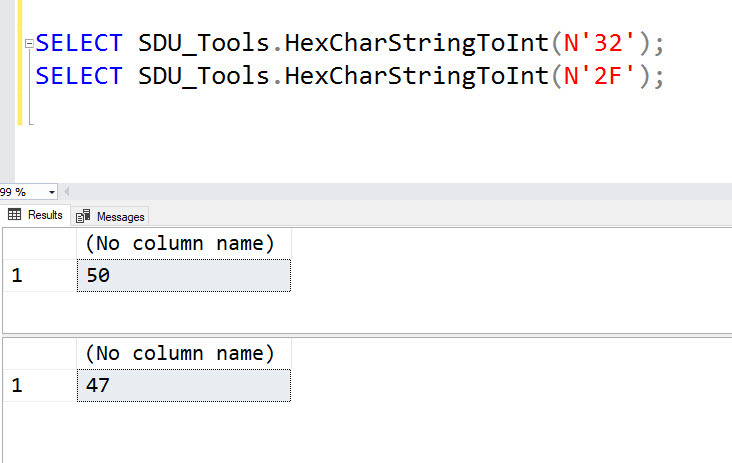 In our free SDU Tools for developers and DBAs, as well as the HexCharStringToChar function, we added a function HexCharStringToInt to do just this.